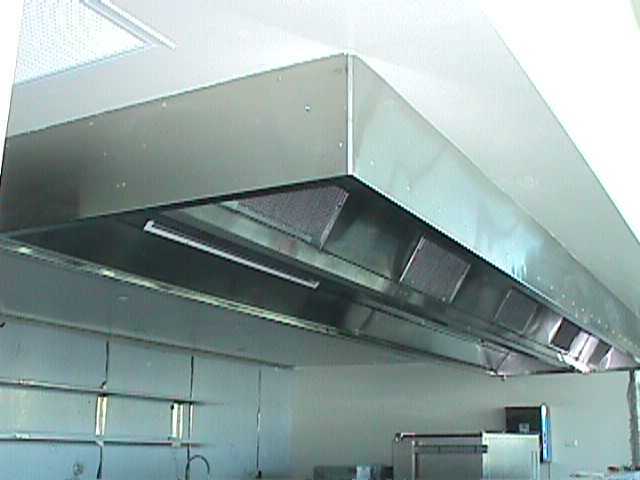 With our well equiped workshop and experienced tradesmen we are able to fabricate a diverse range of products in stainless steel. The processes available include guillotineing, pressing, folding, rolling and plasma profile cutting. Laser cutting will be arranged if high definition cutting or accuracy is needed. Parts may be welded or assembled with mechanical fixings and the welds or the entire workpiece may be buffed or polished to the required finish. 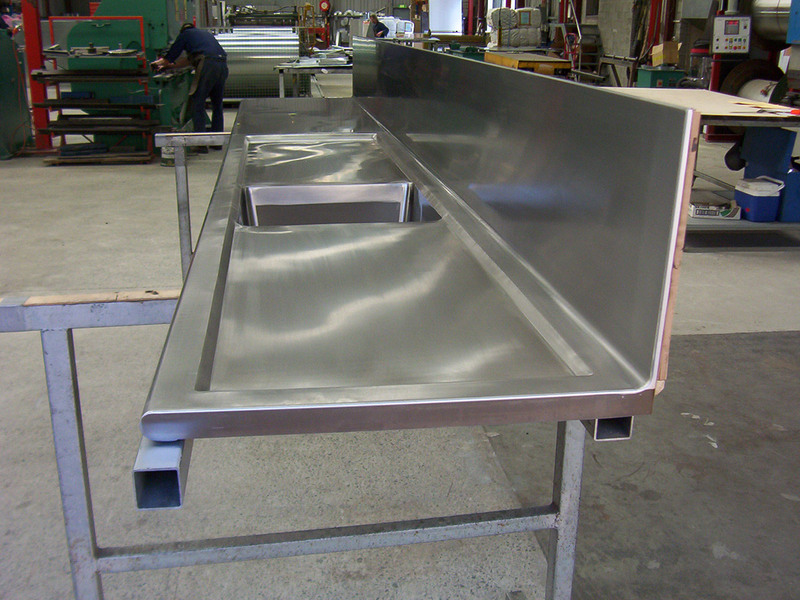 Stainless steel is available in almost all forms and sections that are available in mild steel including sheet, plate, tube and pipe and structural shapes which allows virtually anything that can be fabricated in steel to be made in stainless steel if desired. 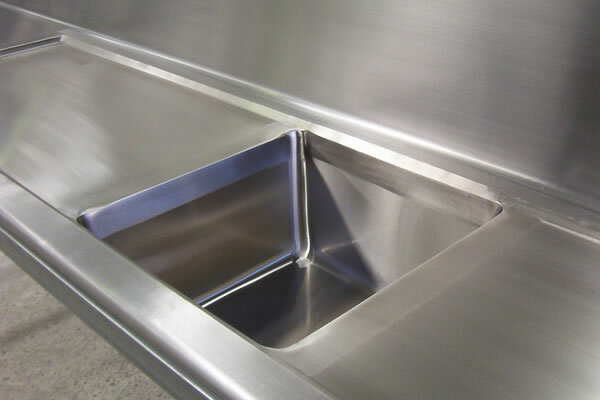 Our fabrication in stainless steel includes products such as specialised bench and sink units, commercial kitchen and extraction hoods, splash backs etc. for all types of commercial applications including laboratories, hospitals, hotels, restraunts, clubs etc.. We also fabricate ballustrades and hand rails in any style you require and can fit if required. 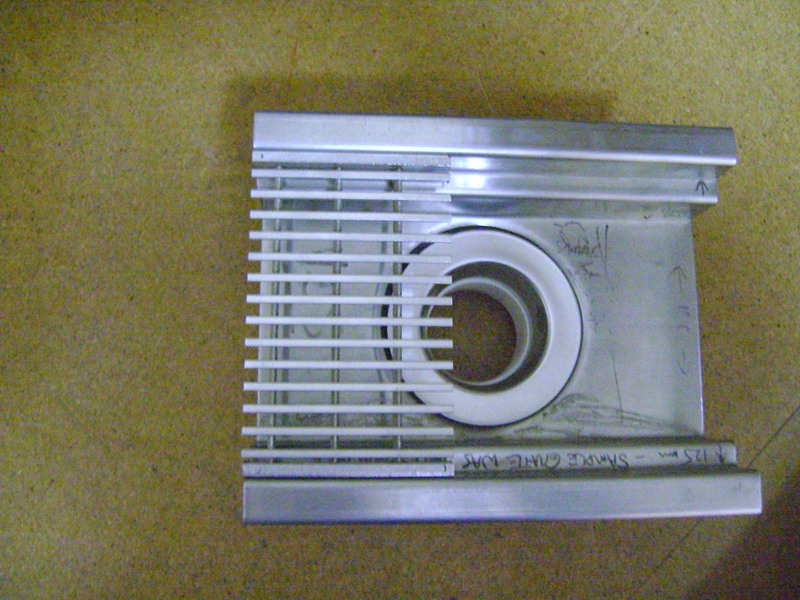 We fabricate many specialist items of an engineering nature to customers design, they include components such as materials chutes, conveyor frames, machine guards and product racks, trays etc. 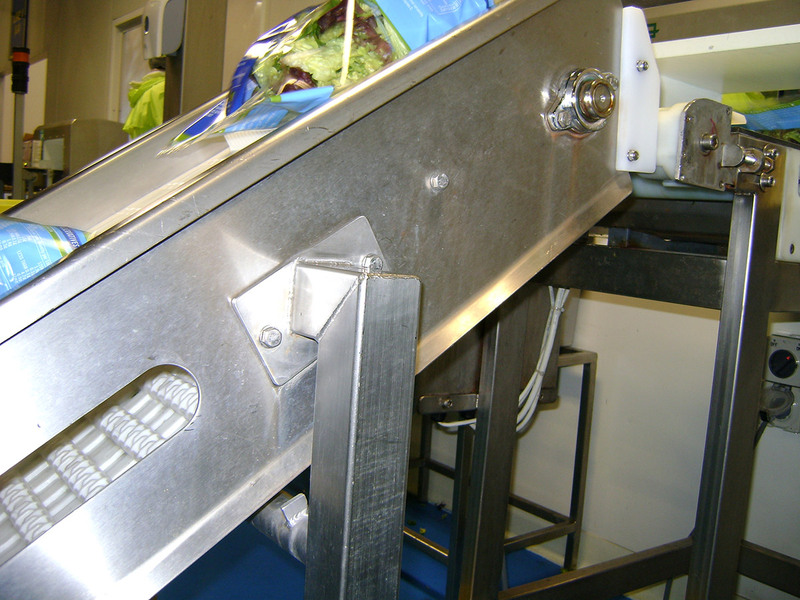 either prototypes, new installations or replacments required in the course of maintenance in the food processsing industry or any application requiring corrosion resistance or an easy to clean hygenic environment. 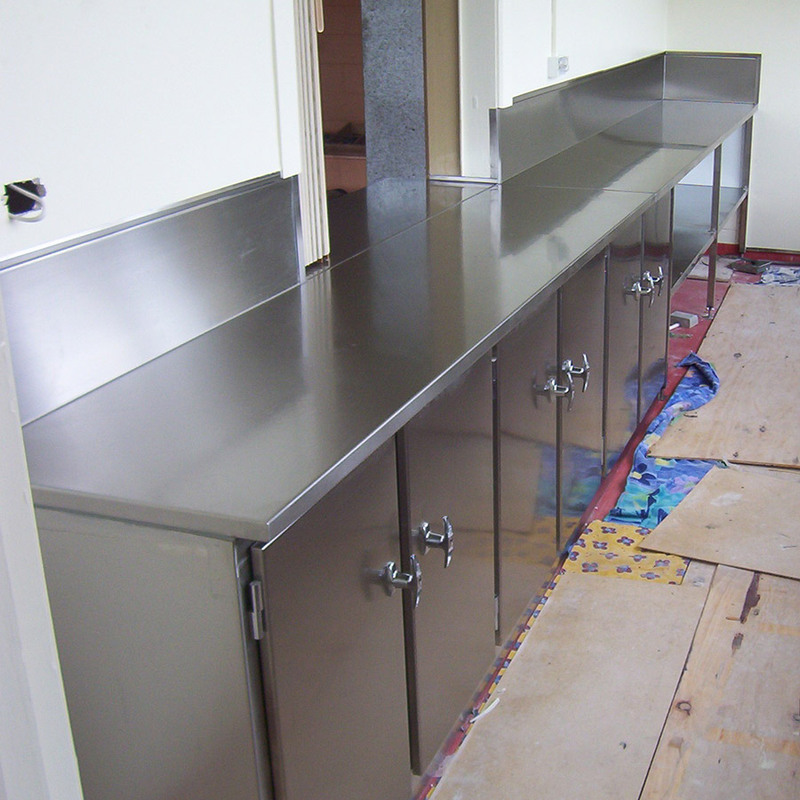 Stainless stell benchtops, spashback etc. 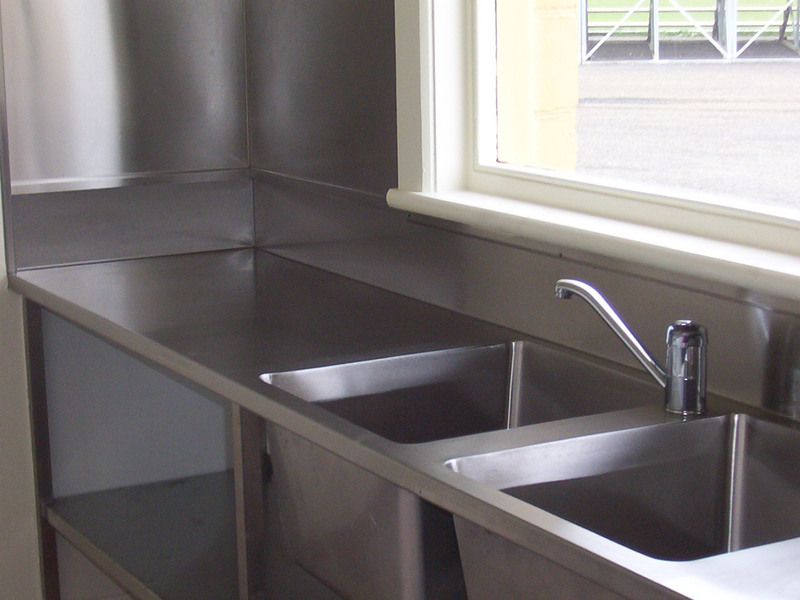 Custom built extra large double sink unit with bench, splashbacks and support frame. 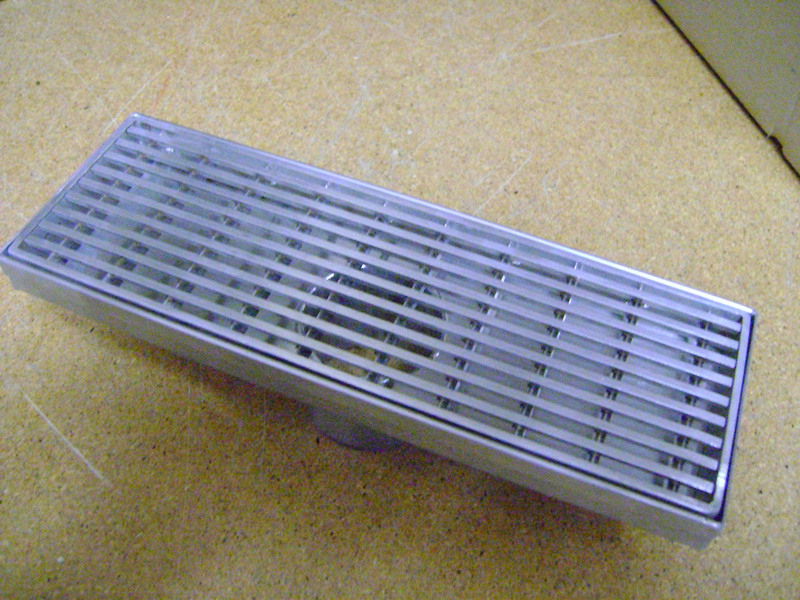 Cut away sample of shower or drain unit showing any length or configuration is possible.